HOME Of The Brave burst into The Everest mix, Trapeze Artist ran well but lost favouritism for the world's richest turf race, while D'Argento showed he was right target for the Epsom Handicap. 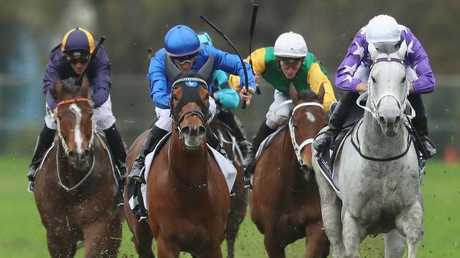 The trio ran the placings in the Group 2 $200,000 Theo Marks Stakes (1300m) at Rosehill Gardens on Saturday with Godolphin's Home Of The Brave producing a brilliant frontrunning effort to score a dominant win. Within minutes of Home Of The Brave's impressive win, Nature Strip just fell in to win the McEwen Stakes at Moonee Valley, leaving his chances of securing a slot for The Everest in doubt. 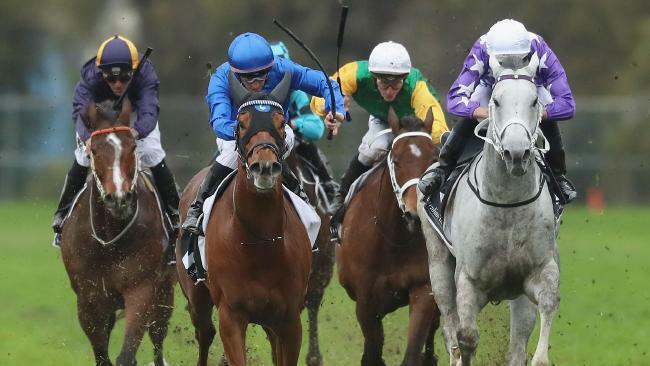 This puts Home Of The Brave in contention for the $13 million The TAB Everest (1200m) at Royal Randwick on October 13 with TAB Fixed Odds prices assessors slashing the Godolphin's sprinters odds from $51 to $15. 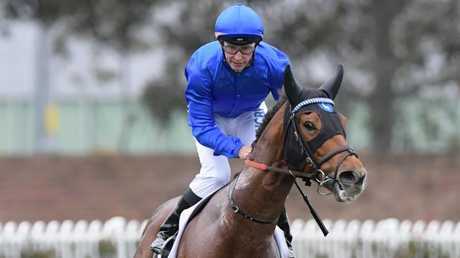 With Home Of The Brave's trainer James Cummings in Melbourne, it was Godolphin stable representative Darren Beadman left to field questions on The Everest. "I spoke to James prior to the race and he said if Home Of The Brave does happen to perform well today and be convincing, he was probably thinking something like the Sir Rupert Clarke Stakes,'' Beadman said. But when pressed about The Everest, Beadman conceded Home Of The Brave was versatile enough to come back to 1200m. "He is a horse that runs with purpose so a race like that (Everest) would be suitable so James has options,'' Beadman said. Home Of The Brave ($5.50), a multiple stakes winner in England, scored at just his second Australian start when he led throughout and easily held D'Argento ($2.90 favourite) at bay, posting a two-lengths winning margin. 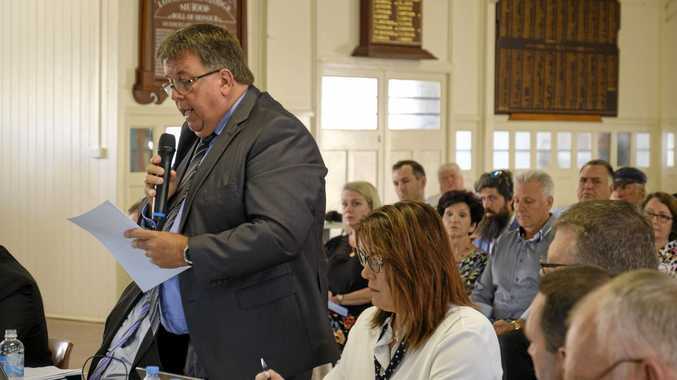 "It was very pleasing to see the horse do it at both ends like he did,'' Beadman said. "We felt if Glyn could get it right for the first furlong and a half out of the gates he was always going to be figuring in the finish. "He got him into a nice rhythm and was able to dictate terms, then he got D'Argento and Trapeze Artist out of their comfort zones coming to the corner, he was strong to the line." "He's all go this fella,'' Schofield said. "For the majority of the race I just tried to keep him happy without trying to fight him too much, but without letting him run too hard. His foot is always on the accelerator, he wants to go but he's got ability to go with it, which is great." D'Argento chased hard from the turn but couldn't close the margin on the frontrunning Home Of The Brave. Trainer Chris Waller was satisfied with D'Argento's effort and said the grey four-year-old was likely to go into the Group 1 $1 million Epsom Handicap (1600m) at Royal Randwick on September 29. Trapeze Artist's trainer Gerald Ryan felt his sprinter was going to run into the race before his condition gave out. "A couple of times in the times in the straight I thought he was going to get there but he probably peaked about 75m out which you would expect,'' Ryan said. Tye Angland, rider of Trapeze Artist, felt the sprinter wasn't at home on the heavy track. 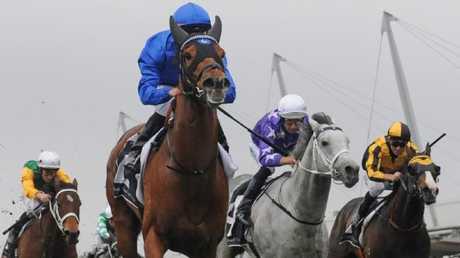 "I was happy with the way he relaxed underneath me and he came into the race on the turn feeling great,'' Angland said.